Smartphones for sure are lifesavers. With their increased capacity in terms of processors, storage capacity so on, you can use a smartphone like a real laptop. But there is a downside of this story. A recent study showed that smartphones caused fatal accidents more than ever in United States. An article recently published in Bloomberg showed the horrible details of Smartphone caused fatal car crashes. 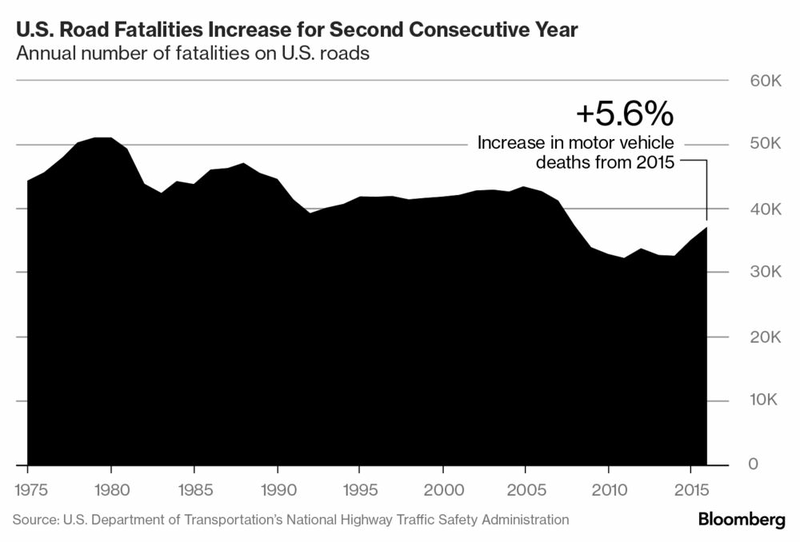 Over the past two years, after decades of declining deaths on the road, U.S. traffic fatalities surged by 14.4 percent. In 2016 alone, more than 100 people died every day in or near vehicles in America, the first time the country has passed that grim toll in a decade. Regulators, meanwhile, still have no good idea why crash-related deaths are spiking: People are driving longer distances but not tremendously so; total miles were up just 2.2 percent last year. Collectively, we seemed to be speeding and drinking a little more, but not much more than usual. Together, experts say these upticks don’t explain the surge in road deaths. For further reading, go to original source. 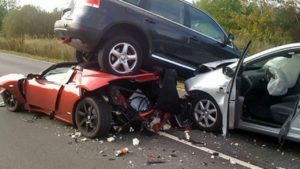 What to do in a California car accident? Accidents happen so it’s a good idea to know a head of time what you are required to do if you are involved in a crash in California. Do you know what to do in a California car accident? First and foremost you must stop. And if anyone is hurt you are required to get help. In addition you must give your name, address, and vehicle registration number to others involved in the accident. California has close to 250,000 vehicle crashes every year and most common cause is careless driving, which means the driver was not driving taking into account curves, width of road, traffic, corners, the grade of the road (steepness), and other conditions that effect driving. If you leave the scene of an accident that involves injuries without providing your information your license may be revoked. Any car accident that involves injuries or property damage over $500 must be reported. In these situations you should call the local police department, sheriff, or the California Highway Patrol. If an officer investigates the accident they will file a report. If traffic is being blocked by your car you must move it. If you can’t move it yourself, you are required to get help or call a tow truck. Your car should never block traffic in any situation. Many accidents are caused by a driver that broke traffic laws. If that is the case then an investigating officer will file charges against the offending driver. If you are charged in a traffic accident you will have the opportunity to explain what happened in court. Then the traffic court will decide what the penalty is. In many cases you will be required to complete a Traffic Collision Avoidance Course (TCAC). A TCAC course is a California traffic school course designed to remind drivers of safe driving techniques. It can be completed online, in a classroom, or with a video. When you complete your TCAC course you will receive a certificate from the course provider that you must deliver to the court. The California Drivers Association offers a TCAC traffic course online and on video. If you would prefer to attend a classroom then look in your local yellow pages under driving instruction. If you hit a car, truck or other vehicle that is parked with no one it you must inform the owner. Leave a note with your name, address, and license plate and report the accident to local police, sheriff, or Florida highway patrol. How many car collisions happen in California? California is one the biggest states of United States. Estimations show that 39,5 million people live in California state. As of 2015, there are 14,5 million registered cars in CA. Only 230,976 of them are owned by public authorities. There endless roads and highways in California but do you know how many car accidents happen in California and how many people have died in car collisions? According the statistics between 2005 and 2014, total number of fatal collisions are 30,731. Total number of people died in these collisions are 33,744. This means in every fatal accident, 1,1 person has died in state of California. But the good news is; every year since 2005, number of fatal collisions seem to be declining. When we look at the injury numbers, the overall picture is not good enough. At the same period, 2,5 million people were injured in car collisions. This numbers proves how important is to be a good driver and obey the traffic rules even sometimes they bother us. While in 2005, the death rate according to mileages made by vehicles were 1,31; in 2014 this number dropped to 0,93. This is the good news from California state roads. In California, most accidents happen to be in fall, namely starting from September, collision numbers seem to be increasing during winter season. How to obtain car accident report in California? If someone killed in the accident. Make a report to DMV within ten days. You should remember that each driver must make a report separately. It doesn’t matter whether you caused the collision or not. You have to send the report to the address below. You can find the address on the Traffic Accident Report. Do not panic and leave the scene without exchanging your name, address and VIN number with the other driver that involved the accident. Better you take a photo of the accident scene and be careful not to block the traffic. You can move your car after you take the pictures. If you can’t move it by yourself, you can call a tow truck. Better you take a copy of car accident report that we gave the link above and keep it in your car. What if you hit a car, parked in the street? Do you need car accident report as well? If you hit a car, truck or other vehicle that is parked with no one it you must inform the owner. Leave a note with your name, address, and license plate and report the accident to local police, sheriff, or California highway patrol. You just had an car accident but you decide not to inform DMV and your insurance company. The damage is not that much and other car has less damage as well. So you both agree not to notify DMV. Here are 5 things that may happen to you if you don’t give car accident report to your local DMV. You are obliged to report car accidents that costs more than $ 1.000 to DMV. This figure was $ 750 before January 1, 2017. You have to reporting in 10 days. 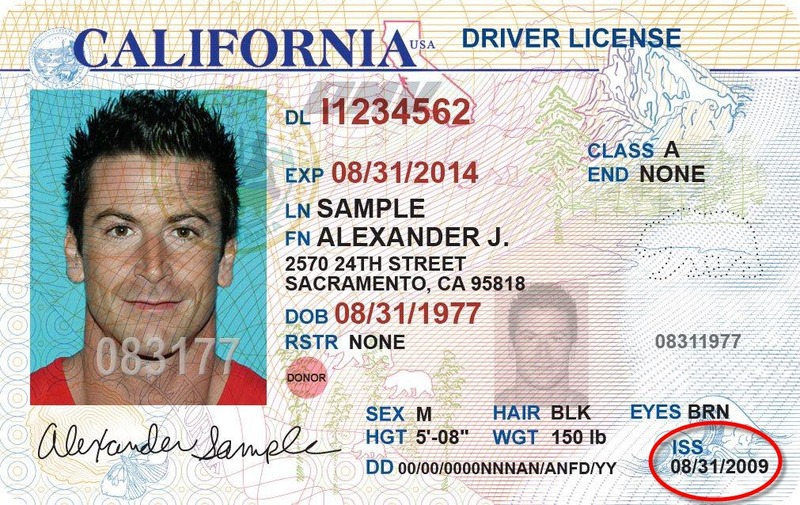 This means, if you don’t report in 10 days, DMV could suspend your driver license. If you don’t report the accident, you may think that you’ll avoid an increase in your car insurance and also you may avoid more negative points on your record. But according to California law, if you don’t report the accident and leave the scene without California Vehicle Code (Section 20002), this will be regarded as misdemeanor and if you are lucky, judge will give you a fine up to $ 1000. There is a possibility that the same judge, who might like your misdemeanor, send you to the jail for six months at least. Worst, you can both go to jail and obliged to pay the fine. Your perfect scenario failed and other driver changed her/his mind and give up bypassing auto insurance and file a report to DMV. If you exchanged relevant information (insurance number, driver license info etc) along with your phone number, the driver of other car may lay all the blame on you for the accident. If he or she files a damage claim against you because you didn’t report the accident, you can face some very ugly results and pay costly damage fees for other driver. This is not maybe the worst outcome but if you avoid going jail or paying the penalty, your insurance company may cancel your policy because of your misdemeanor. In some cases, if you are injured in the accident for instance, you can’t report in 10 days. But you can have a passenger with you file the report in 10 days or you can hire an attorney.